Boerne Air Conditioning Experts is your trusted local source for air conditioning repair, installation, and maintenance in Fair Oaks Ranch, TX and the surrounding areas. Think of the number of hours you spend indoors. There's more to indoor air quality than adjusting the thermostat. Controlling and correcting humidity affects comfort and reduces energy costs, and eliminating airborne pollutants such as mites, dust, and bacteria is an important health concern. 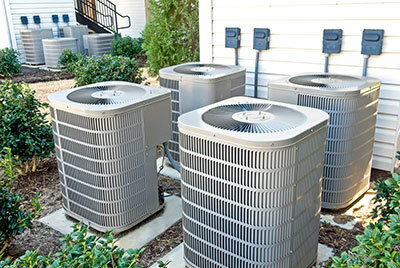 Our team performs repairs and maintenance on all makes and ages of heating and air conditioning units and air-quality systems. Our staff can also help you make an informed purchase by helping you sort through the maze of HVAC equipment on the market, from furnaces, air conditioners, boilers, heat pumps, air handlers and much more. In the past few years there have been significant advances in HVAC technology. If your HVAC system is more than 10 years old, you may want to consider installing a new HVAC system to obtain these comfort and health benefits and reduce your on-going energy costs. The air conditioning systems being manufactured today are highly efficient and use much less energy than systems built just 10 - 15 years ago. You can easily compare the efficiency of different air conditioning systems as you research by checking the SEER rating (Seasonal Energy Efficiency Ratio). New systems have a SEER number of at least 13, the minimum government standard for cooling systems. The higher the SEER, the less energy used and less cost to operate. It’s also important to keep in mind that mixing old and new technology can decrease system performance. By replacing just one part of your overall system, you effectively lower the performance of both systems. When you couple a new highly-efficient system with your older system, the components don't "match," and you won't be utilizing the new technology to its full potential. In the end, you want your home to be healthy, comfortable and efficient. Your heating and cooling equipment is a big part of that. 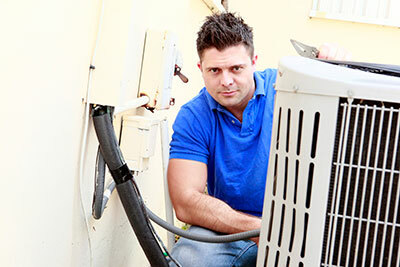 We install, maintain and repair all major brands of heating and cooling equipment. Our service team handles 24-hour emergency calls on all major brands of heating and cooling equipment. No matter what time of day, you can trust that we will be sure to get you up and running, while making sure your home is clean inside and out. It’s comforting to know that you have a trusted partner who can answer your HVAC calls anytime, day or night. In addition, at Boerne Air Conditioning Experts we employ one of the top installation teams in the state for new construction and remodeling projects. Whether you live in the Fair Oaks Ranch, TX or the surrounding communities, let us assist you with your heating and air conditioning needs. If you have any additional questions about your current air conditioning system, or you’d like to learn some more tips about increasing its efficiency, feel free to contact one of our team members at Boerne Air Conditioning Experts.